I have a multilingual site managed by Joomla and Joom!Fish and I want to migrate it to WordPress. 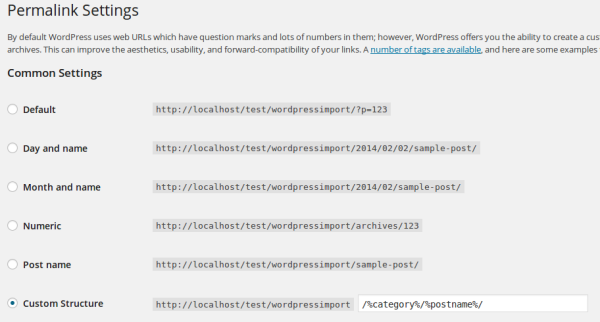 the WordPress Multilingual plugin WPML. 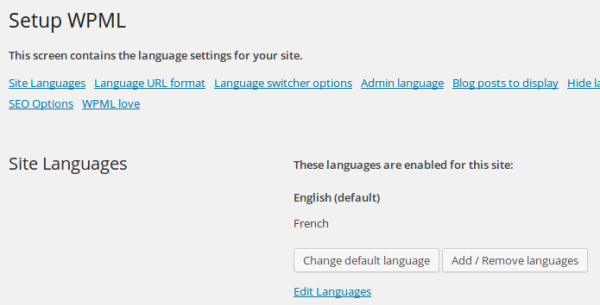 This plugin will manage all your multilingual content on WordPress. It is developed and sold by WPML.org. FG Joomla to WordPress Premium. This is the main plugin to convert your Joomla site to WordPress. It is developed and sold by Frederic Gilles.net. the Joom!Fish add-on. It is an add-on of the FG Joomla to WordPress Premium plugin. It will convert your Joom!Fish translations to WPML. It is also developed and sold by Frederic Gilles.net. 1. 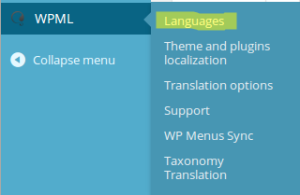 Install and activate the plugin «WPML Multilingual CMS» on WordPress (menu Plugins > Add New > Upload). The minimum version is 3.0.1. 2. 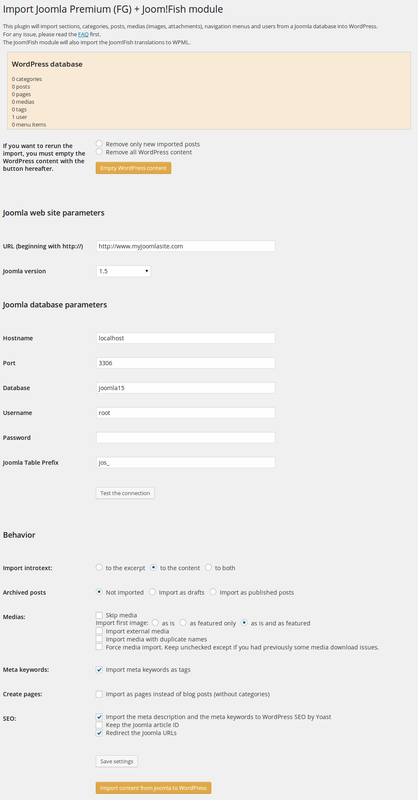 Install and activate the plugin «FG Joomla to WordPress Premium» on WordPress. The minimum version is 1.24.4. 3. Install and activate the «Joom!Fish» add-on on WordPress. 5. Set the default language (menu WPML > Languages). This must be the same default language as on Joom!Fish. 6. Check that the current language displayed in the top bar is defined as the default one. Choose another permalink than the default one. It is because the default permalink prevents the URL redirect. You can choose other options. It depends on your needs and on your theme. Click on «Import content from Joomla to WordPress». It can take a long time depending on the number of articles and images. During the migration, the categories have been prefixed to avoid duplicates. Once all the data has been migrated, you can remove these prefixes. 11. Modify the internal links. This action will process all the imported posts and will modify the internal links in order to match the new permalinks. Go to Posts > Categories to see if the categories have been migrated with their translations. Go to Posts to see if the articles have been migrated with their translations. Go to Media to see if the images have been migrated. Go to your site to see how it looks. If something went wrong, please double check your settings and read the FAQ before contacting the support team. You can now install a WordPress theme and enhance the features of your site by adding some plugins.